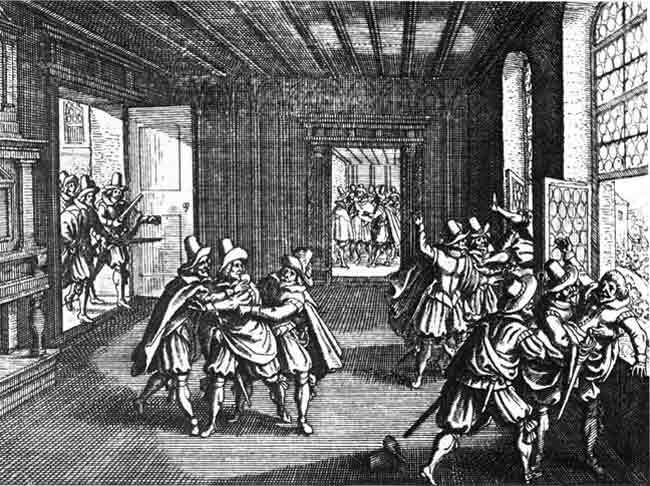 The Thirty Years War was the last really large series of conflicts of the Wars of Reformation which had involved the European Protestants and Catholics for in excess of a full century prior. The Thirty Years war started out in the middle of the central principalities of the Holy Roman Empire, but ended up including Sweden, France, Hungary, Poland, Transylvania, England, Italy, Denmark and Spain. Wedgewood is primarily concerned with the human suffering involved in this horrendous extended conflagration, as well as the consequences. In the Introduction the author says she wrote this during the Great Depression and the beginnings of WWII and as a result was very aware of people’s suffering – it affected her writing. Yes, reading this in 2013, I can see the anti-war bias. 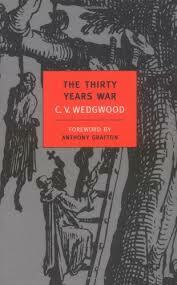 C.V. Wedgwood was a highly regarded British historian. Her original point was to show that the disunion of Germany was actually a cause of the War, and that the severe economic troubles occurred later. In neither situation were they as devastating as they are sometimes portrayed. She gets the first point across quite well – After the Treaty of Augsburg the little kingdoms became quite diverse in spiritual as well as secular matters. The second point, that the severe economic troubles occurred later, is less well established – how much worse could it get? This is certainly not light reading and I think it takes some background to really understand what’s going on. I barely have enough to follow and I had to look stuff up as I went. The issue is that Wedgwood drops names and places and events which are unfamiliar to the novice. Shoot, at this point it’s possible that most people don’t even know what, where or when the Holy Roman Empire was! And the language is rather dated as well. There are precious few maps and no pictures. But it’s not a dry volume – Wedgwood’s skills at writing keep the reader interested. What had started out as a spiritual reformation changed quickly when the local Princes saw the opportunity to enhance their wealth and power by choosing Lutheranism, confiscating what they lost to the Church and allying with others in the Protestant League. But the Church retaliated. And there were pressures from the outside as well. Catholic France and Spain wanted a bit of the action for territorial and military purposes while the Lutheran Denmark and Sweden wanted a secure Baltic Sea. Both sides had opportunists as well as the spiritually devout. Both sides were plagued with mercenary armies which were quite capable of walking away, changing sides, mutinying in times of no pay, pillaging in times of no food. This is not an anti-war book, it’s an anti-“stupid war” book. “After the expenditure of so much human life to so little purpose, men might have grasped the essential futility of putting the beliefs of the mind to the judgment of the sword. Instead, they rejected religion as an object to fight for and found others … . “The war solved no problem. Its effects, both immediate and indirect, were either negative or disastrous. Morally subversive, economically destructive, socially degrading, confused in its causes, devious in its course, futile in its result, it is the outstanding example in European history of meaningless conflict … .